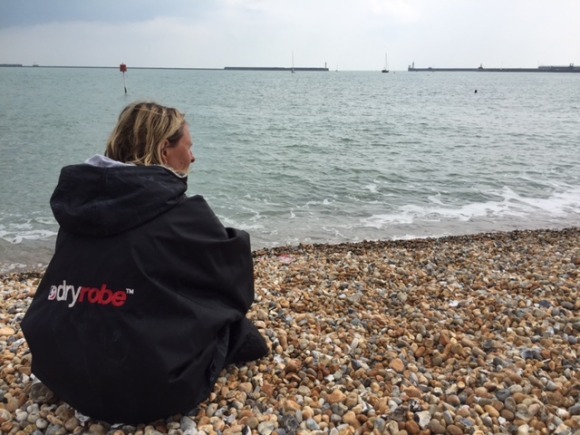 When Jessica Hepburn first told me she was planning to swim the Channel I thought she had gone loopy. I love sea swimming but 30 minutes is my max followed by a hot shower and a hot chocolate even in the height of summer. Swimming the Channel with no wetsuit and no restbite is a whole different kettle of jellyfish! Jessica has been training hard for months and her dedication is inspiring. She is raising money for two fantastic charities for families who do not have the children they long for and children who do not have the families they deserve. So far she has raised over £5000 for the Infertility Network UK sponsor her here to show your support for this amazing charity and the valuable work that INUK do to support couples struggling to conceive. Jessica describes her Channel Challenge as part childhood dream, part midlife crisis. It all started a couple of years ago when after multiple rounds of unsuccessful IVF, she decided she needed to do something big with her life. She wrote a book called The Pursuit of Motherhood and became a trustee of the Infertility Network UK. Click here to read my book review of ‘The Pursuit of Motherhood’. Visit Jessica’s website www.thepursuitofmotherhood.com for the full story of her swim. Has infertility inspired you to do something big? I would love to hear from you, leave a comment below or come and join the conversation within our fertility support community.